Define the innovative design strategies utilized in a variety of global residential projects drawn from several Architectural Record's Residential Building Type Studies and “Houses of the Month” project overviews. Explain how a blend of traditional and contemporary approaches can be used to create innovative custom home designs. Discuss how modern residential architecture can be expressed through a variety of design strategies and materials based on the influence of cultural trends and regional styles. Describe the potential relationship between custom homes and surrounding public space. Below are a set of links to building type studies from Architectural Record, which are in-depth analyses of particular kinds of buildings, with photos, drawings, specifications, detailed descriptions, and design solutions. Click on each link below, read the article then complete the quiz to earn your credit and certificate of completion. 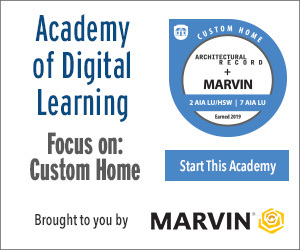 This course will look at a number of Architectural Record Residential/Custom Home Building Type Studies and “Houses of the Month” project stories from locations around the world. Through a mix of traditional and contemporary approaches, these featured projects incorporate local trends and influences into a variety of innovative residential designs. A house for an artist in Italy takes shape from traditional materials and landforms. 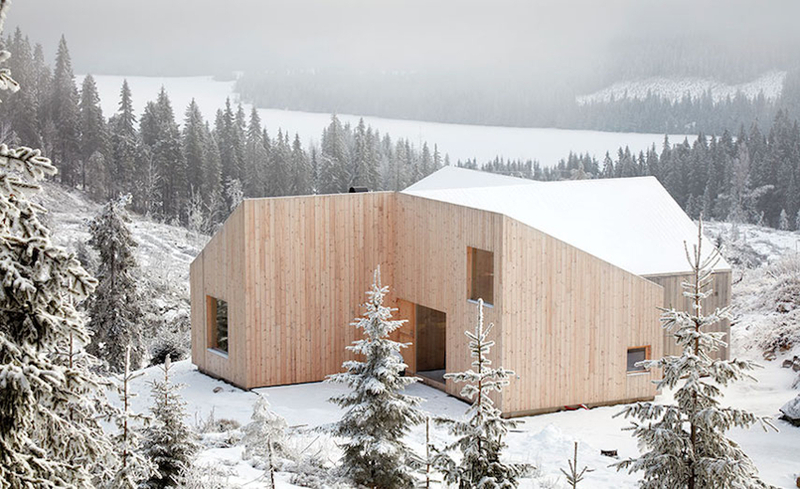 A former Design Vanguard firm puts a modern spin on a traditional Norwegian cabin, creating the Mylla House for an American family living in Oslo. A disappearing pavilion reflects its wooded setting, a counterpoint to the residence's masonry sleeping quarters. A vacation house in the Turks and Caicos Islands takes cues from its waterfront site and the tropical climate. A family complex in Vancouver shields itself from a busy street while opening up to interior courtyards. An eye-catching addition to a historic block in Toronto’s Parkdale neighborhood combines craft and an industrial aesthetic.